Happy National Grilled Cheese Month! Back in law school, I used to create 31 grilled cheeses for the month of April but now we'll just have to settle for a few posted on Fridays this month. Take a look through our archives (shared below) and you will be in great form for impressing your friends and family. 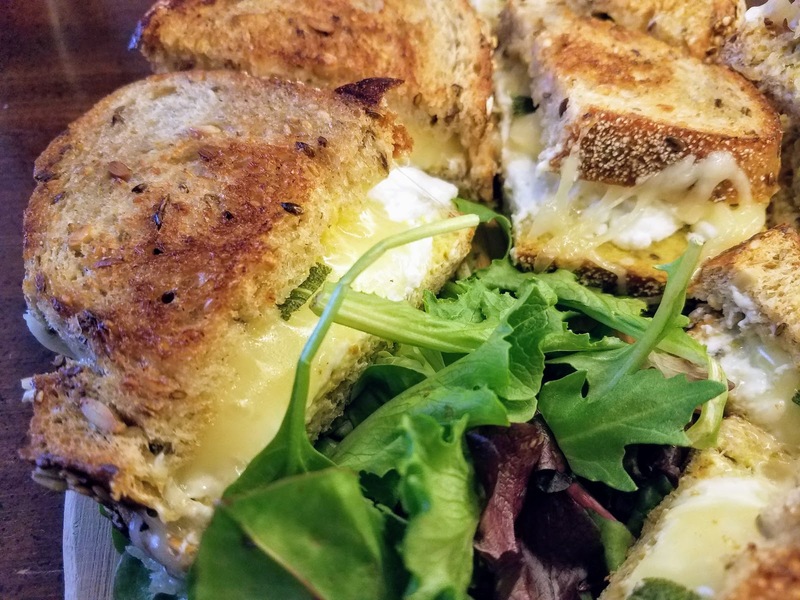 Grilled cheese is a blank canvas with an opportunity to create something delicious and unique. 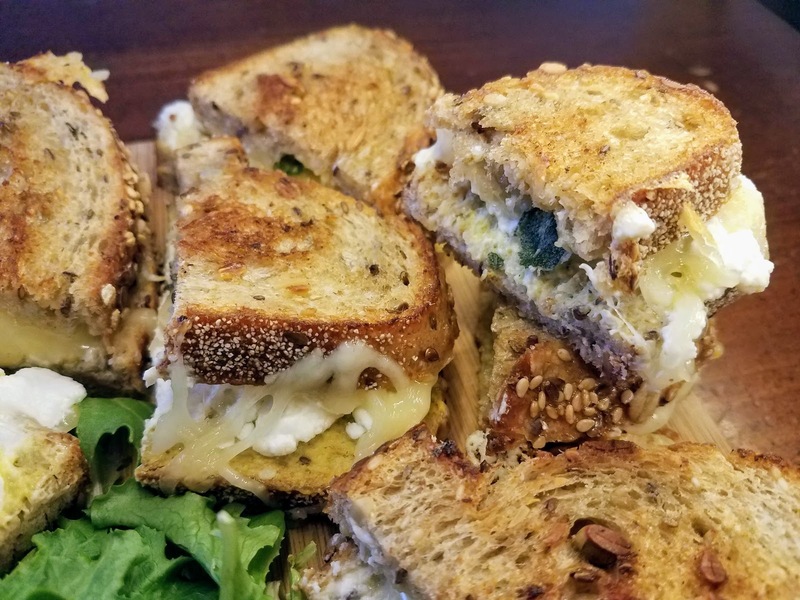 This grilled cheese is everything you want in a sandwich. The bread toasted perfectly and the crust provides the perfect amount of crunch, the double cheese adds depth of flavor, while the mustard adds a tang and the sage adds a freshness. Recipe from Yes to Yolks. To make the sage butter, melt the butter in a medium saucepan and add the sage. Swirl the butter and sage until the butter is starting to turn brown. Remove from the heat and salt. Spoon out the crispy sage leaves for later. To make the grilled cheese, heat a large skillet over medium heat. Divide the cheeses and crispy sage leaves among one-half of your bread and spread the other side with mustard. Press the two halves together to form a sandwich and then brush the outside of the bread with the sage butter. Cook until the bread is crisp and golden on one side and the cheese has started to melt. Flip and cook until the other side is golden brown.